More than 20 original works by the artist Donald Blake have come to light in an old folder stashed away in our storeroom. Frederick Donald Blake had a distinguished career as a war artist in the 40s and later became a leading light in several London artist groups and associations. The paintings we have found are semi-abstract landscapes executed in watercolour and ink on a kind of unique clay-coated paper created by the artist himself. They were among the collection once owned by the maverick collector Richard Cory-Smith that we acquired from a Labour peeress in 2015. At the time we knew nothing about Blake’s work and initially thought that the pictures, all the same size and with their rather glossy sheen on stiff paper, might actually be some kind of photographs or prints. Closer examination has now exposed our mistake! The works are currently unmounted and unframed. 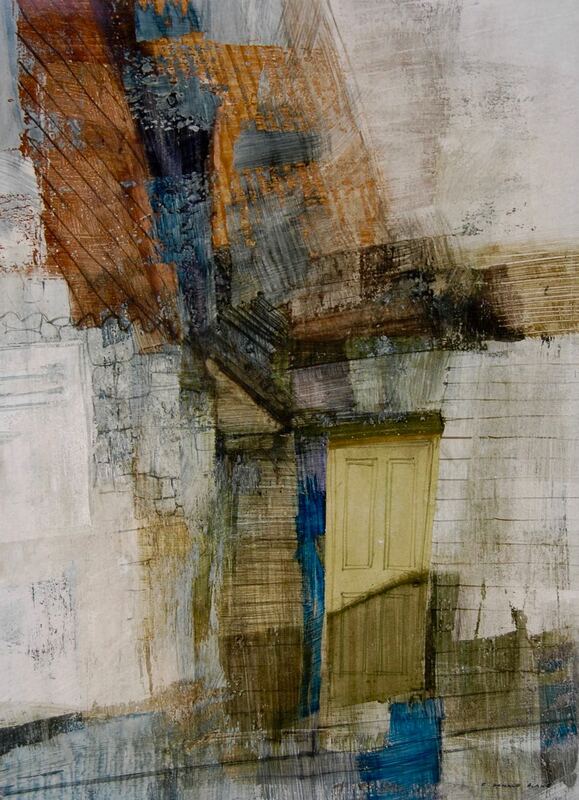 The work shown here is titled “The Door”. More works and more information about the artist can be found by clicking on the “Artists” button above, then clicking on his name.